These products seriously haven't left my bathroom counter in over a month - a big feat for a product junkie like me! I start with this staple product from Origins - a creamy gel cleanser with papaya enzymes that completely removes makeup and dirt without stripping skin. The natural enzymes help to dissolve skin cells and pore clogging gunk. This is one of my favorite cleansers, and is the cleanser I turn to when my skin is freaking out. At $19.50, it's a great deal too - one bottle lasts at least three to four months. These exfoliating pads are absolutely incredible! A new product from St. Ives, the Scrub-Free Exfoliating Pads feature hydrating glycerine and vitamin e with a combination of lactic and glycolic acids to slough off dull, dry skin, plus brightening fruit extracts to get rid of discoloration over time. I am absolutely in LOVE with this product. Gentle enough to use morning and night, you'll notice a difference after just a few uses. Even the hubs is addicted to these little wonder pads. And, at just under $6, you'll be hard pressed to find something that works as well for the price. 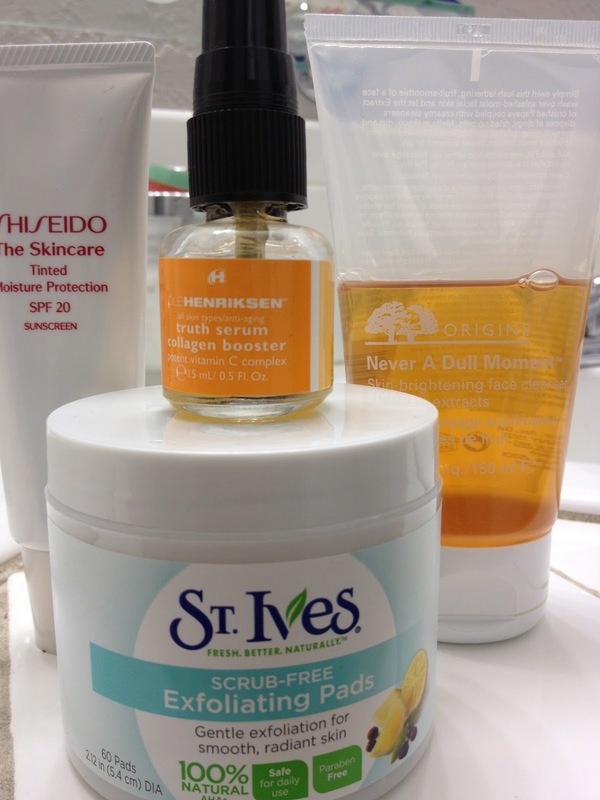 After letting my skin dry from the St. Ives Exfoliating Pads, I use Ole Henrikson's Truth Serum Collagen Booster. This serum has a lightweight gel texture that smooths on easily and absorbs immediately. With 10% Vitamin C to protect, brighten and boost collagen, plus antioxidants Vitamin E and green tea, this serum has everything you need to get skin glowing in no time! Plus, it layers perfectly with sunblock - a must for bright, even-toned skin! At $49.50, this is one of the more expensive products in my regimen, but it's definitely worth the price - one bottle lasts me around five months with daily use. It's really hard to find a tinted moisturizer that covers, has SPF, and hydrates, but this product does it all! 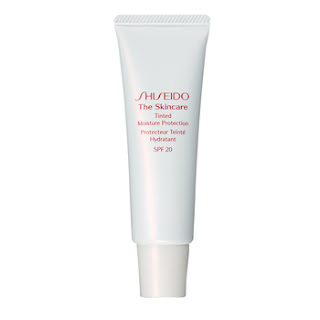 I finish with Shiseido The Skincare Tinted Moisture Protection - a medium weight tinted moisturizer with SPF 20 sun protection. This oil free product wears all day with good coverage, and provides adequate sun protection for daily wear. It feels clean and lightweight on the skin, without leaving a film or greasy residue I've experienced with other tinted moisturizers I've recommended this product to several friends, all of whom love it! $38, at Nordstrom stores. 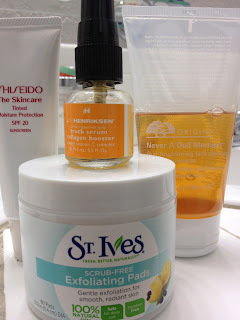 I've been getting so many compliments on my skin lately, and I credit it to this regimen - give these products a try if you're having issues with dullness or rough skin. What are your go-to products to get your skin in shape after winter?